Tsurugaoka Hachimangu is arguably Kamakura's most important shrine. 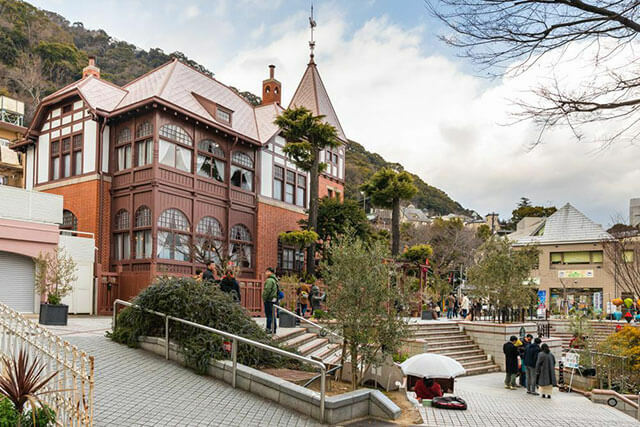 If you’re planning on really getting in touch with the city’s rich spiritual history you can’t miss the opportunity to explore this incredibly lively but still peaceful pocket of Kamakura. The site was originally founded in 1063 by Minamoto Yoriyoshi, who was a head of Japan's Minamoto clan and is most famous for leading the Imperial forces against rebellious forces in the north, alongside his son Minamoto no Yoshiie during the 1050s. 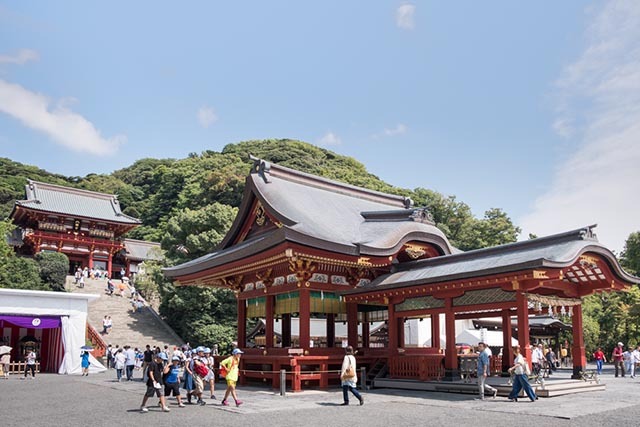 Later in 1180 the shrine was enlarged and moved to its current location by the founder and first shogun of the Kamakura government, Minamoto Yoritomo. 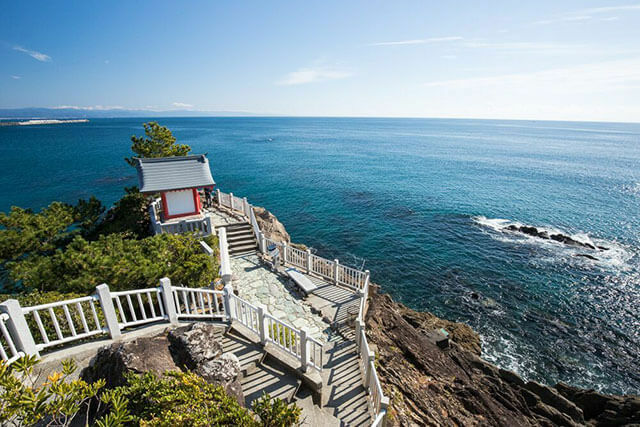 The shrine is connected to the heart of Kamakura via a long, wide pathway that travels past the Kamakura waterfront and through the entire city centre. If you follow the pathway you’ll come to the shrine’s main hall sitting on a terrace at the top of the wide stairway. Inside this hall lives a small museum dedicated to the shrine, where guests can explore the displays featuring various pieces of the shrine’s most precious and antique treasures including weapons, masks and historical documents. When you’re in the area take some time to explore the stunning garden which is home to two tranquil ponds filled with history and symbolic significance. The first pond represents the Minamoto Clan and features three islands, while the other represents the Taira Clan, which historically were the Minamoto's arch rivals. This second pond has four islands, because in Japanese the number four can be pronounced the same as "death". The garden also has an impressive collection of peonies that surround the Minamoto Pond. It is only open seasonally in spring and winter and entry to the garden grounds is 500 yen. Up until 2010 the grounds houses a large ginkgo tree, which was actually older than the shrine itself. Once centuries ago it was actually used as a hiding spot by an assassin during an ambush attack on his victim. During Koyo the tree would transform from lush green to fiery shades of gold, orange and red, drawing visitors from across the world. Sadly after a long and fulfilling life the tree was taken following the harsh winter storms that tore through the area in March 2010. Throughout the year the temple still hosts a series of seasonal events, the highlight being during hatsumode, which is the year's first visit to a shrine. During hatsumode, hundreds of thousands of locals and tourists swarm to the shrine in the hope of being blessed with a healthy and prosperous new year. Thanks to its central location Tsurugaoka Hachimangu Shrine is easily reached by foot from Kamakura station. If you’re planning on doing a little shopping you can get there via the bustling Komachi-dori shopping street, home to Kamakura’s main gift and souvenir stores. But if you want to avoid the crowds you can also walk along Dankazura, a pedestrian path that sits in the center of Wakamiya Oji Street. Lined with several hundred stunning cherry blossom trees, a trek through Dankazura is definitely worth it during the warmer spring months. The walk from Kamakura station takes a total of about 10 to 15 minutes.